Lakeshore Records will release THE DISAPPEARANCE OF ELEANOR RIGBY – Original Motion Picture Soundtrack digitally on October 28, 2014, and on CD November 18, 2014. The album features the original track “No Fate Awaits Me,” performed by the film’s composer Son Lux with Faux Fix, and songs by Cat Power, Elliphant, Amason, Roxxpin and the classic cut So In Love by Orchestral Manoeuvres in the Dark. “I wrote the script listening to music, the title was inspired by the Beatles' song, I gave playlists to the actors that I thought were relevant to their characters, and we even shot certain scenes based on the rhythm and mood of certain songs,” said writer/director Ned Benson. With his unique vision, writer/director Ned Benson ambitiously captures a complete picture of a relationship in the beautifully relatable portrait of love, empathy and truth that is THE DISAPPEARANCE OF ELEANOR RIGBY. Once happily married, Connor (James McAvoy) and Eleanor (Jessica Chastain) suddenly find themselves as strangers longing to understand each other in the wake of tragedy. The film explores the couple’s story as they try to reclaim the life and love they once knew and pick up the pieces of a past that may be too far gone. The Weinstein Company presents THE DISAPPEARANCE OF ELEANOR RIGBY in theaters October 31, 2014. 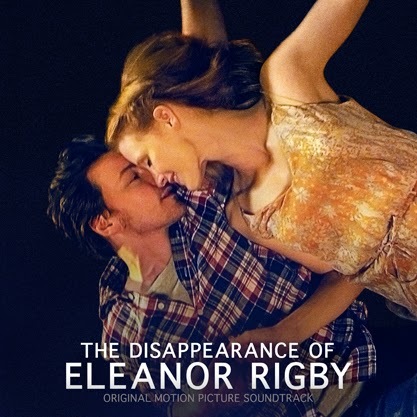 THE DISAPPEARANCE OF ELEANOR RIGBY – Original Motion Picture Soundtrack will be available digitally October 28, 2014 and on CD November 18, 2014.